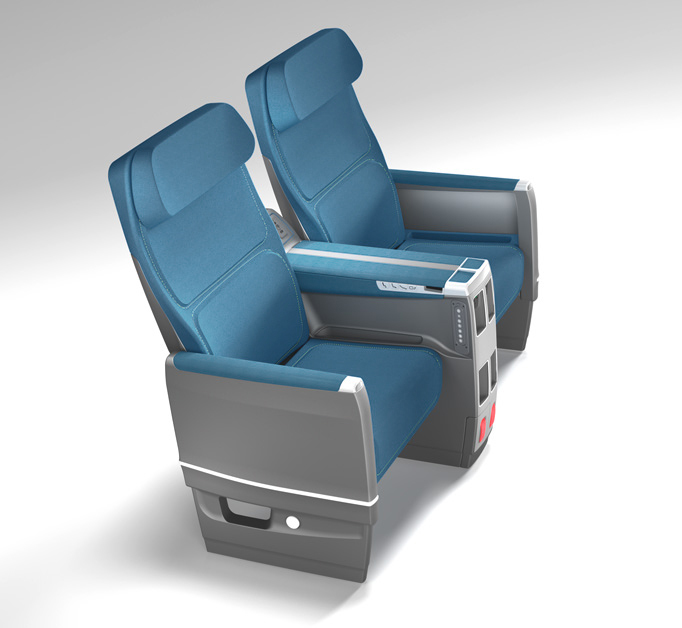 Patrick Lindon Industrial Design was invited to join the team at ZIM Flugsitz, a German airline seat manufacturer, to help create their new line of Business Class seating. We approached the briefing with a fresh mindset – implementing simple but elegant lines. Our goal was to create timeless design, but incorporating a modern attitude. 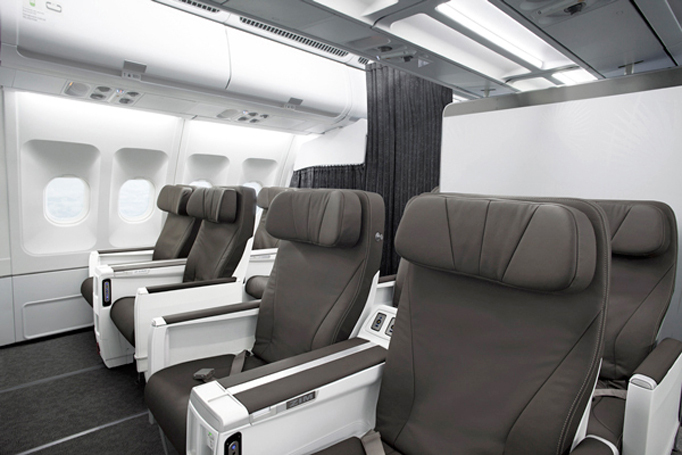 The sophisticated, formal language of the seat is compatible with cabin interiors of forefront aircrafts such as the B787, the A350 and Bombardier’s C-Series. One of the main ideas behind the seat was to give the feel of a sturdy, wide and comfortable lounge chair, just like your favorite home recliner. 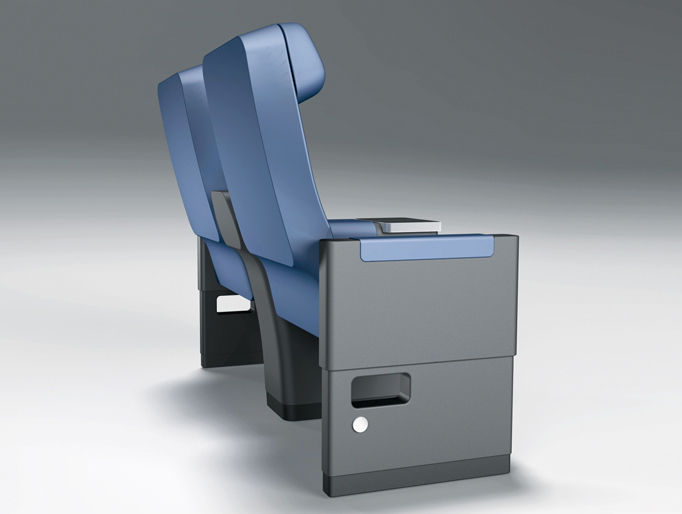 This feature assists passengers with disabilities, enabling a simple sideways transfer from a wheelchair into the seat. 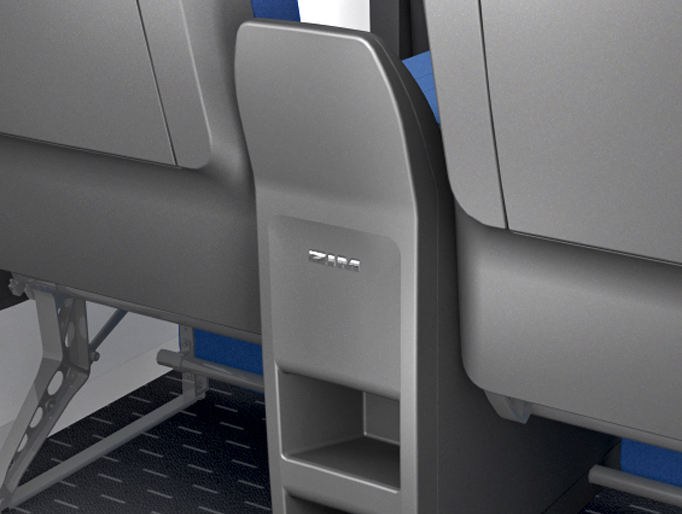 ZIM’s engineers provided the ingenuity to develop a new system for the armrest which facilitates operation. 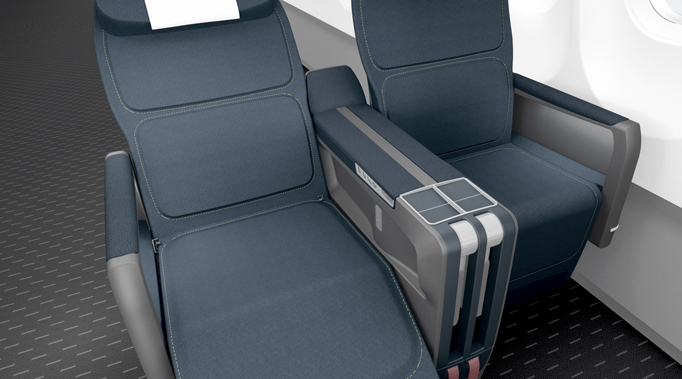 The flight attendant step-up is integrated as a characteristic part of the seat's formal language. The wide seat is complemented by sleek armrests and much attention is given to detail. The thick leather cushions offer outstanding comfort when relaxing. The high back delivers good back support and noise isolation. 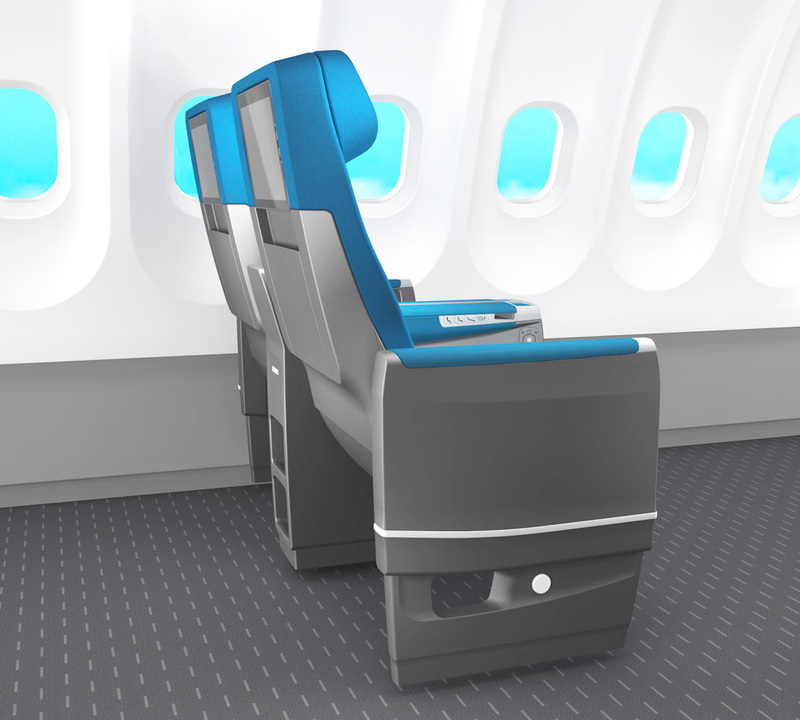 The armrest inset allows for more personal space with a cleverly positioned power outlet which prevents damage from spilled drinks. 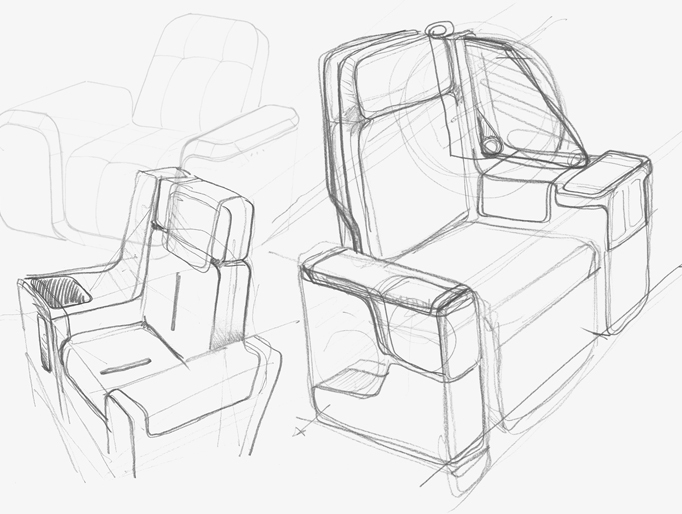 Based on profound knowledge of aircraft seating, our designs always assure lasting performance and durability. The seat back is composed with minimal seam lines to create a tidy and harmonious look. 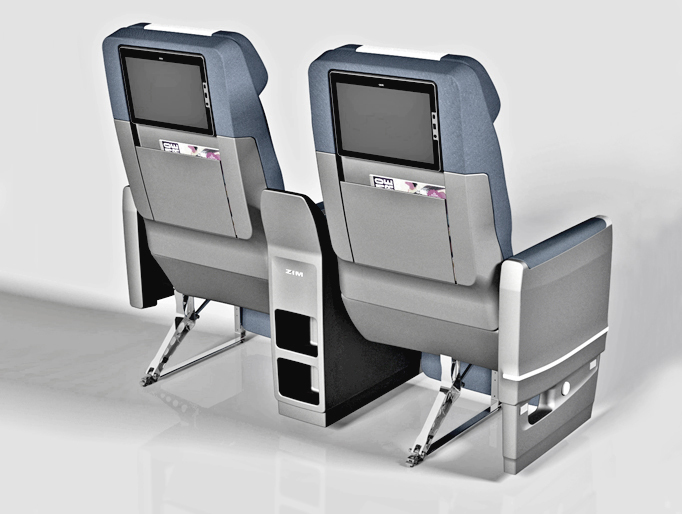 The width of the seat pocket corresponds with the proportions of the monitor. The company name is both visually and phonetically made up of three sharp-edged letterforms. These unique attributes transmit three values : reliability, precision and German craftsmanship. The company is based on the Lake of Constance, where the Zeppelin and Dornier pioneers originated. 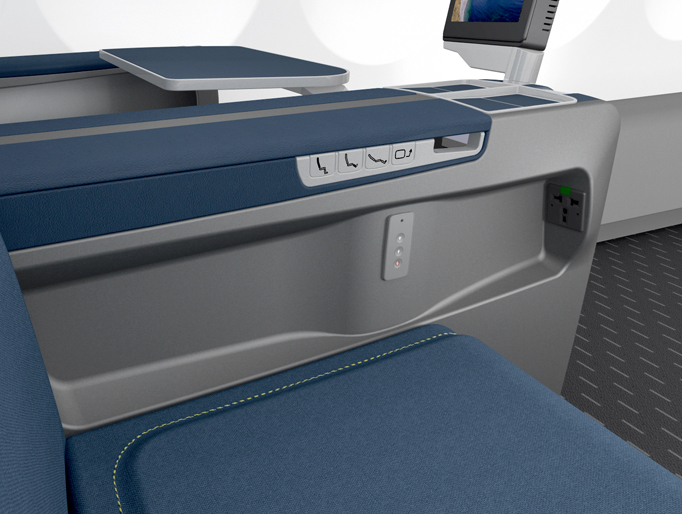 Air Transat is the first customer of the ZIM Business Class seat. Based in Montreal, Canada, they operate scheduled and charter flights, serving 60 destinations in 25 countries.